Glacier extension during Würm between from Geneva to Domodossola (after Jäckli, 1962: Die Vergletscherung der Sweitz im Würmmaximum, Eclogae Geologicae Helvatiae, 55,285-293). 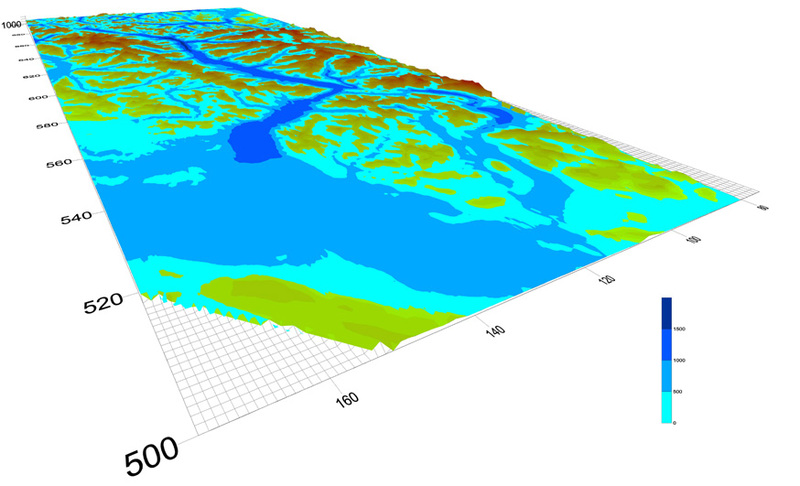 Blue colors indicate the thickness of ice up to the actual level of sediment. Ice thickness is a very important parameter knowing its influence on alpine landscape.